(e) the steps taken by the Government to assess the implementation and progress of NHM along with its present status? (a) A statement showing funds released and utilised since the inception (2013-14) of National Health Mission (NHM), State-wise including Haryana is at Annexure-1. (b) and (c) The Government has continued to allocate more funds to strengthen the National Health Mission. Further, there has been an increase in State share for NHM from 25% to 40% in all States except Hill States and North Eastern States. In addition, the States are required to increase their State Health Budget by at least 10% annually as per the Memorandum of Understanding (MoU) under NHM. Details are provided at Annexure-2. (d) It is the State Governments that establish the Primary Health Centres and Community Health Centres. The number of CHCs and PHCs for which support has been rendered under NHM in 2018-19, State-wise including Haryana is at Annexure-3. (e) The working of National Health Mission (NHM) is reviewed/assessed inter-alia through external surveys such as, National Family Health Survey (NFHS) and Sample Registration System (SRS). Further, Common Review Missions (CRMs) also undertake a review of NRHM/NHM every year. Performance of National Health Mission is also reviewed by the Ministry periodically including through the Health Management Information System (HMIS), Reproductive and Child Health portal, NIKSHAY portal (for TB patients) and Comprehensive Primary Health Care Portal. To monitor the progress of Health & Wellness Centres, the AB-HWC portal has been created. In addition, annual audits by the Comptroller Auditor General of India (CAG) and Statutory audits etc., financial monitoring and management of funds is carried out through Public Financial Management System (PFMS) that tracks the flow of funds at different levels. The Ministry is also focusing on outcome-based monitoring. (1) National Health Mission (NHM) has come into existence from 2013-14, comprising of two sub Missions viz. 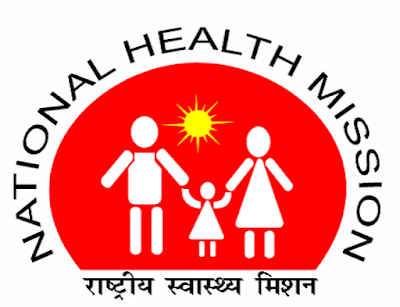 National Rural Health Mission and National Urban Health Mission. (2) Release is the Central Release given by the Ministry and Expenditure is inclusive of Central and State share grants. (3) Release is updated up to 14.1.2019 and expenditure is updated up to 30.09.2018. (4) The expenditure is as per the Financial Management Report (FMR) as reported by the States and hence provisional. Source: Rural Health Statistics (RHS) of 2018 for Rural health facilities and ROPs issued to States for Urban health facilities.